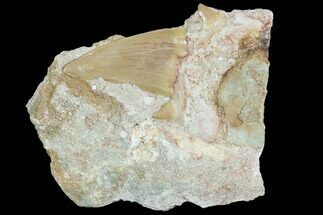 Otodus is an extinct mackerel shark which lived during the Paleocene and Eocene epochs, approximately 60 to 45 million years ago. 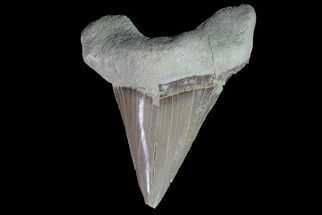 It is estimated that this shark commonly reached lengths approaching 30 feet. 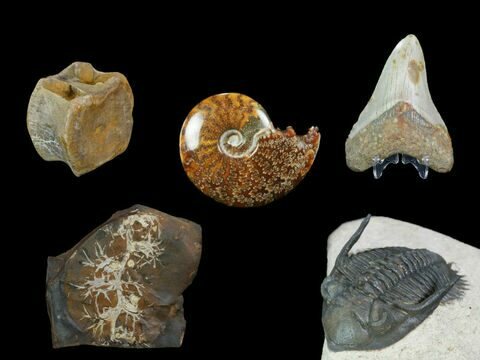 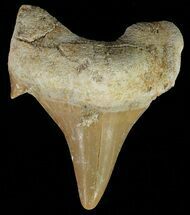 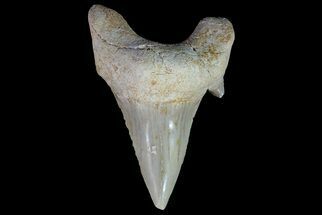 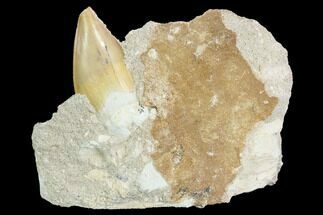 Fossil teeth of Otodus are common fossils in Morocco where they are collected as a by product of phosphate mining operations. 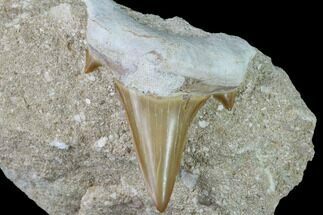 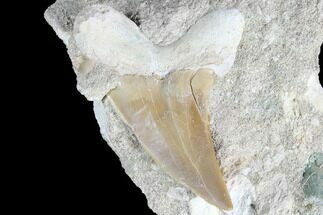 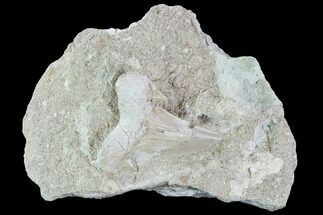 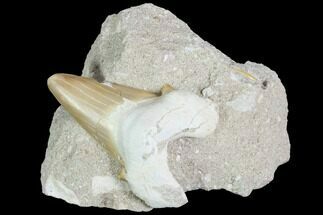 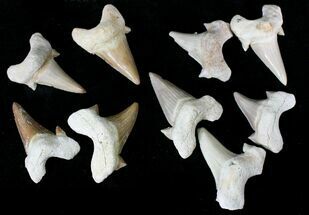 Though large (3 Inch+), high quality fossil shark teeth are still uncommon finds.